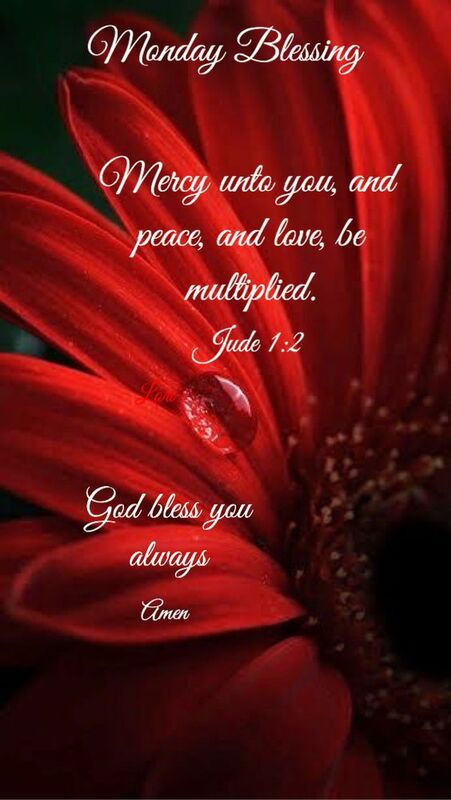 (2) MERCY UNTO YOU, AND PEACE, AND LOVE, BE MULTIPLIED. I PRAY THAT I HAVE SAID SOMETHING TO ENCOURAGE SOMEONE THIS MORNING. HAVE A BLESSED DAY!!! Categories "MONDAY BLESSING", OUR DAILY MEDITATION SCRIPTURES.